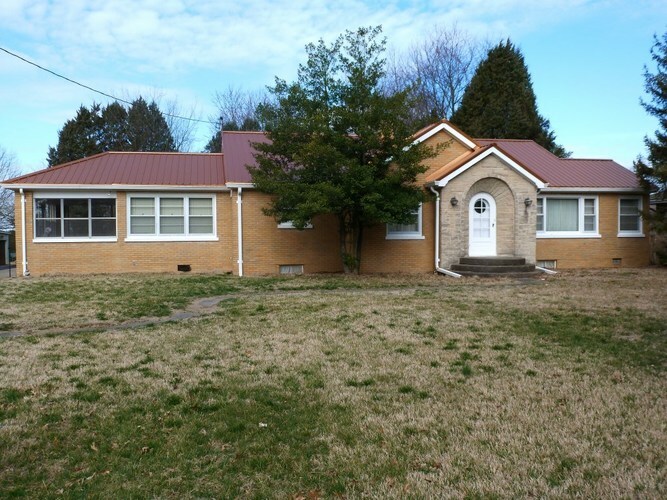 This all brick 2 bedroom, 1 bath home is located in a great north side location with easy access to Evansville's many amenities. The 1 acre lot is 100ft x 315ft deep. Though it is carpeted throughout, it appears to have hardwood floors beneath. Updates include a long life metal roof and recent new furnace and Central A/C. Features a partially finished basement with walk up outside entrance and a nice walk up floored attic. Additional features include an enclosed porch, spacious 24' x 24' (2.5) car garage and an additional 16' x 14' carport. Sold "As-Is"